Big Hair and Books participates in blog programs and affiliate networks. Buying from my links means that I will be compensated with a small percentage of what you buy...this allows us to keep the site going and we thank you for it! Also, please assume that all books were given by authors, publishers, and marketing teams in exchange for honest reviews. Y'all, I am stoked! 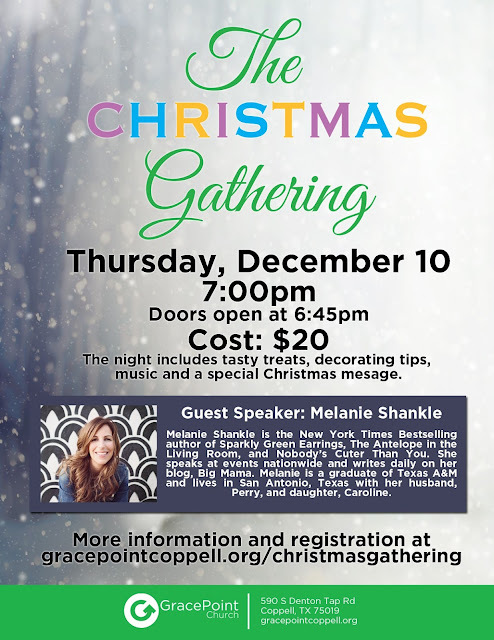 My church has a history of doing amazing Christmas gatherings for women...seriously...like Jen Hatmaker came last year, for the love! Well, this year, they have outdone themselves again and booked the amazing Melanie Shankle! Now if you keep up with this blog, you might already know about my love for Melanie, despite the fact that she's an Aggie. In fact, I love her because the only thing she "whoops" about more than being an Aggie is loving Jesus--and I can get behind that! I went to college with some of Melanie's people (before she was a big time author and speaker), but my first experience with her was when I happened to pick up The Antelope in the Living Room at my local library. It was love at first chapter, y'all. I can't remember a time I laughed harder at the written word. That particular book is about marriage and it's hilarious because it's so true! You really should pick up a copy if you haven't read it! Anyway, Melanie is coming to hang out with me...Ok, not just me, but lots of women...and I want you to be one of them!! 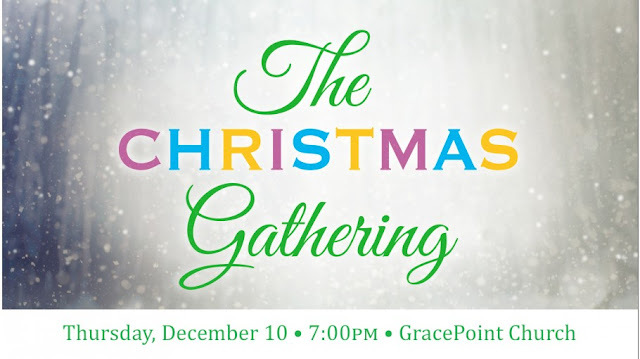 If you are anywhere near the DFW Metroplex on December 10th, you should be there, friends! You can register HERE. I will absolutely be there! And if you decide to go, look for my big hair and come say hi! Thanks for visiting Big Hair and Books!